The Best Leadership Development Strategy. What’s the one thing that all leaders have in common? It’s not communication skills. It’s not a positive mentor. It’s not even frequent, strengths-based check-ins around near-term future work. By that logic, to know and develop your best leaders, you have to be able to know how their followers are feeling – how confident they are in the future that this leader is driving them towards. The best – and only, really – leadership development strategy is having a method to measure employee engagement, quickly and reliably, and giving that data to the leader. That’s the only way that over time, the leader can understand how well he or she is inspiring confidence within their followers. That is the best leadership development strategy. How do you define leadership? How do you measure the success of your leaders? 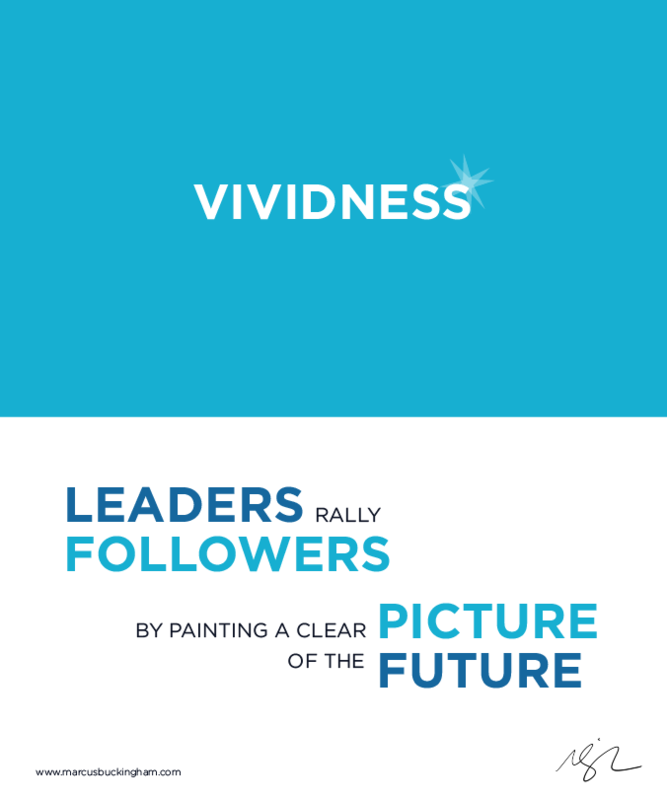 Vividiness is a sum of what a visionary leader is all about. Company Leadership need to do 4 things to gain the confidence of their followers. 1. establish TRUST, 2. Leadership is about COMPASSION for the team, 3 STABILITY/CERTAINTY is what is gained for the organization and 4. HOPE for the future. A leader needs to recognize that these characteristics all need to build upon each other and drive employee engagement. Marcus, there is a lot of merit in your insights here. I am always banging on about followership – it amazes me how many leaders make it to the highest levels of organisations without having cultivated the attributes of attracting followers. Followers don’t arise because you have authority – well they do for a moment, but then they need more to keep them engaged, and a lot more to want to follow you not just over the hill but around the world. My name is Robert Thele, I was President CEO of Covey Leadership Center for ten years. During that time we went from less than one million in revenue to over seventy million. The only reason I mentioned the past is that you Sir are dead right on your thesis on Leadership Development. I am a huge fan and wish you every success.